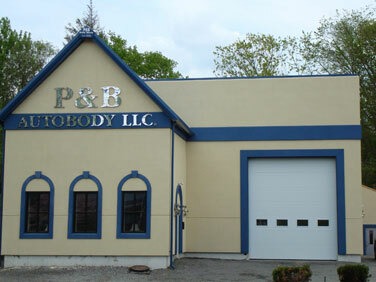 Owner and lead technician, Rick Rondeau opened P&B Auto Body in 1979. His goal was to provide Connecticut motorists quality repair service after a collision or accident. The team at P&B Auto Body still strives for the same goal today, backed by over 30 years of experience. Our facility features modern high-tech equipment and a clean, customer friendly environment to ensure the best experience for our customers. From the inviting, friendly reception area to the spotless back shop area you will see why we are one of the top auto repair facilities in Connecticut. Our team is experienced in repairing automobiles of almost every make, model, and description. You can expect your vehicle to be professionally restored to pre-accident condition in a timely and efficient manner. Call us today for your free estimate: 860-584-8115.